While many light rail projects (including DOLRT) are justified on the basis that it is a fast and modern, the facts suggest otherwise. For example, the Durham-Orange Light Rail Train project in 2011 projected 34 minutes to travel the 17 mile stretch connecting UNC Hospital to Alston in East Durham (with 12,000 daily boardings). The transit time in 2015 is now estimated to be 56 minutes (with 24,000 daily boardings) — an increase of 64% in travel time − and slower than the 39 minutes Bus Rapid Transit (BRT) alternative (that was dismissed in favor of LRT due to ‘speed’). The mean travel time to work according to the 2014 US Census is 21.5 minutes (Durham County) and 22.0 minutes (Chapel Hill). Now include the waiting time for the next train, the time to get to/from the station (via Park&Ride, Kiss&Ride, bicycle, walking, or bus transfer), it will even be LONGER. 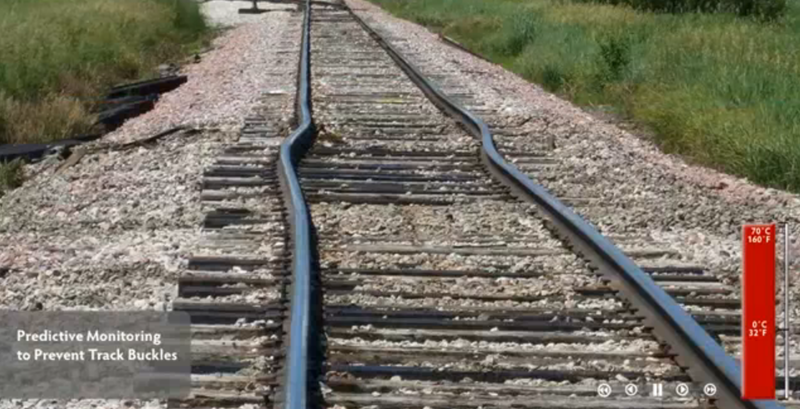 So how is this faster than the automobile that it is supposed to replace? 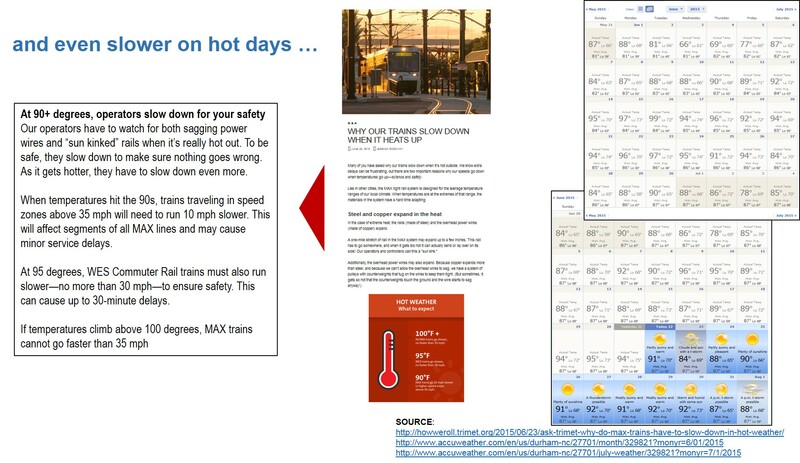 During hot summer days, light rail trains must slow down for safety to counter the expansion of the steel rails and overhead copper power lines − making DOLRT even slower. GoTriangle has demonstrated inherent light rail bias by comparing circuitous bus routes (that could be easily rerouted by GoTriangle to meet this ‘demand’) in order to justify their conclusions. 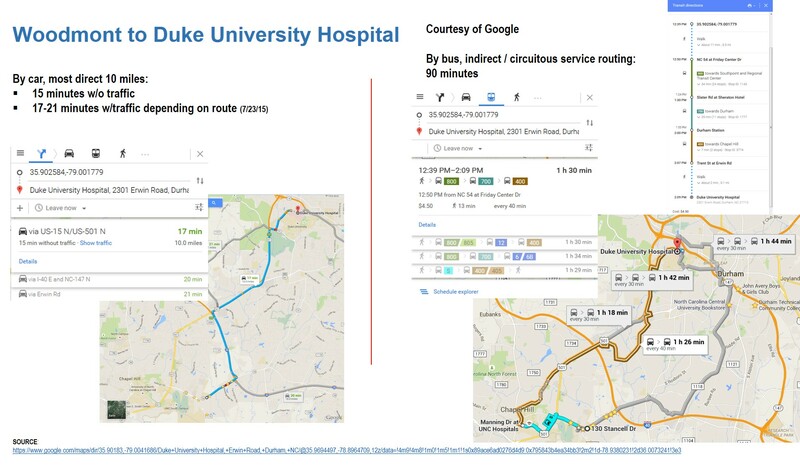 For example, if the intended route to connect UNC Hospitals with Duke University Hospital, Downtown Durham and Alston a more direct route along 15-501 would reduce distance by 10% and align with a high population density corridor that would support projected daily boardings. This entry was posted in Uncategorized and tagged 15-501, Bias, Bicycle, BRT, Bus, Chapel Hill, DOLRT, Duke, Durham, GoTriangle, KnR, PnR, Safety, Transfer, Travel Time, UNC, US Census, Walk on August 28, 2015 by admin.